MSF set up Bardnesville Junction hospital in Monrovia in 2015 to support Liberia’s health services during the Ebola crisis. In 2017, MSF focused on paediatric care and mental health treatment. 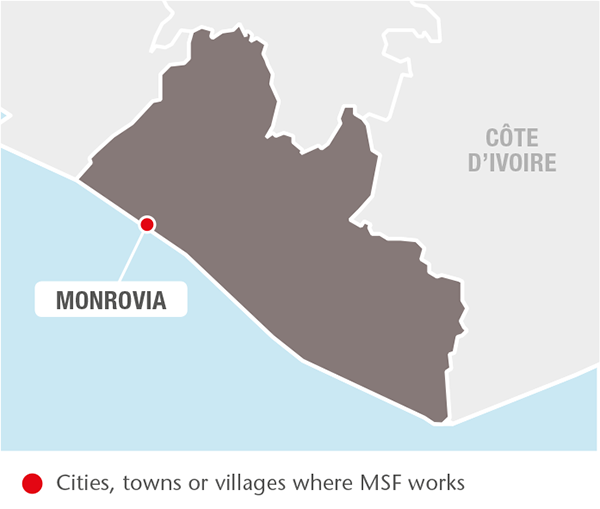 MSF set up Bardnesville Junction hospital in Monrovia in 2015 to support Liberia’s health services during the Ebola crisis. Originally serving children under the age of five, in 2017 the admission criteria were broadened to include patients up to the age of 15. During the year, staff attended to 7,040 children in the emergency room and admitted almost 6,000 patients, mainly for malaria, severe acute malnutrition and respiratory tract infections. 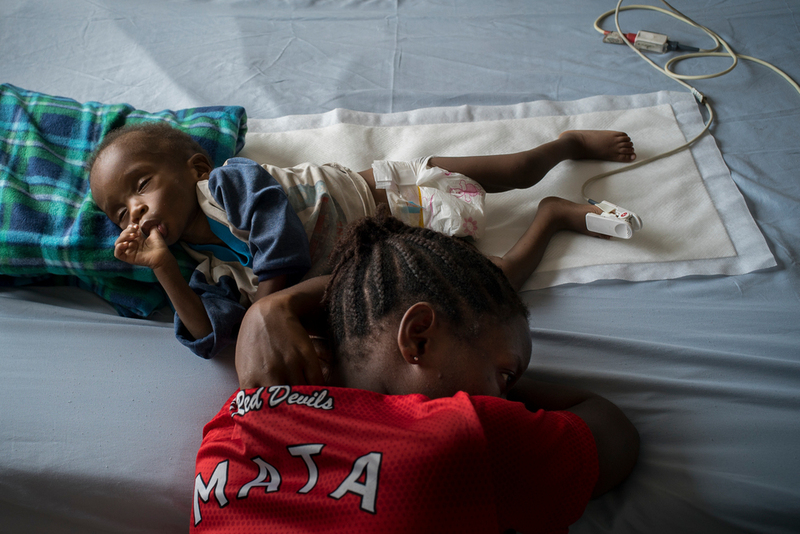 Malnourished child getting treatment at an MSF Hospital in Monrovia. Bardnesville Junction hospital continued to serve as a teaching hospital, providing placements for nursing students. The team conducted operational research on paediatric health issues, including paracetamol intoxication. In late 2017, an operating theatre was constructed for a paediatric surgery programme that will open in January 2018. In September, MSF started to support mental health and epilepsy care at four primary healthcare centres in and around Monrovia. An MSF psychiatrist and two mental health clinicians offer guidance on diagnosis and treatment to Ministry of Health personnel at the health centres, and psychosocial workers train volunteers to identify people in the community who need treatment. MSF also provides psychiatric and anti-seizure medications. With MSF's support, the health centres carried out 2,446 mental health and epilepsy consultations.